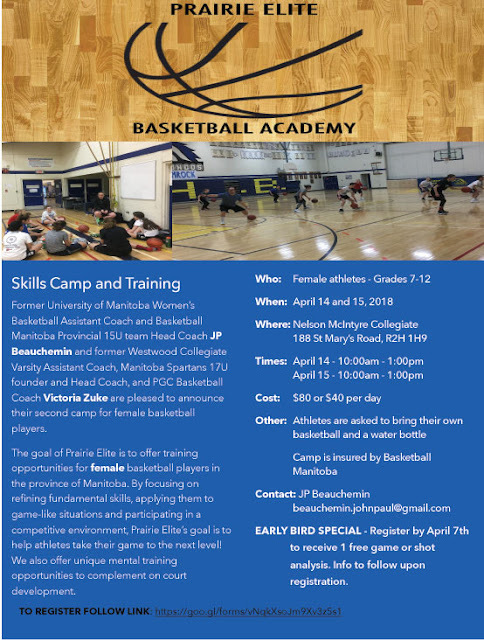 DEADLINE FRIDAY AT MIDNIGHT: Former University of Manitoba Women’s Basketball Assistant Coach and Basketball Manitoba Provincial 15U team Head Coach JP Beauchemin and former Westwood Collegiate Varsity Assistant Coach, Manitoba Spartans 17U founder and Head Coach, and PGC Basketball Coach Victoria Zuke have announced their second camp for female basketball players. 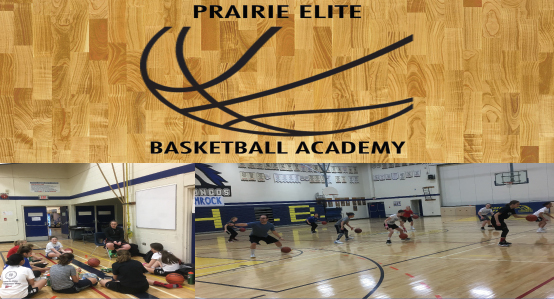 EARLY BIRD SPECIAL - Register by April 7th to receive 1 free game or shot analysis. 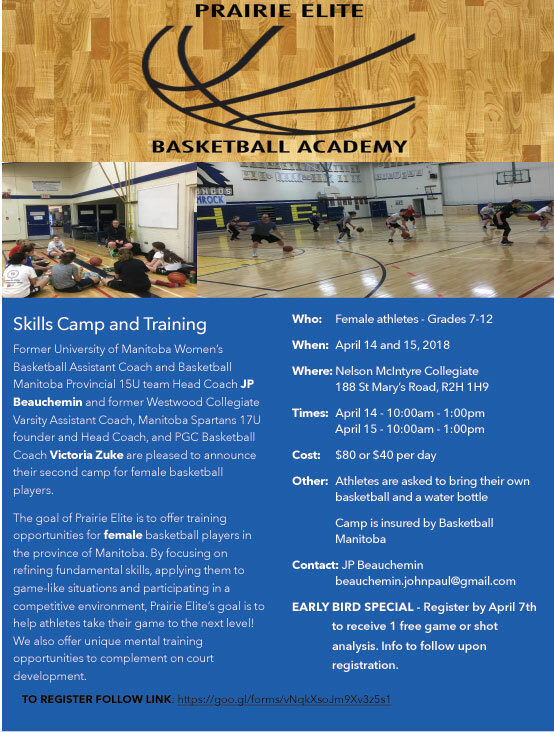 Info to follow upon registration.